Team Up for Women: Sawu Bona! Sawu Bona is a Zulu greeting meaning “I see you”. I learned this phrase in November of 2008 when I had the honor and privilege of traveling to South Africa on a mission. I was a member of a five-person team with one goal in mind: to build awareness and provide breast cancer education to the women in rural areas of the KwaZulu-Natal region of South Africa. 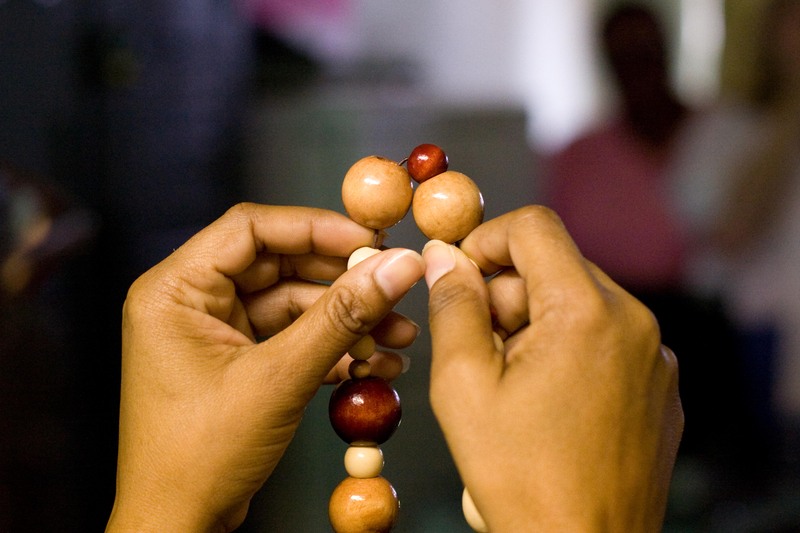 We used necklaces of variable-sized wooden beads to demonstrate the different sizes of tumors and the importance of early detection. We also used a model of a breast to simulate breast self-examination. We worked with Mpilonhle, a community-based organization comprised of some of the most amazing women I have ever met. We touched the lives of nearly 400 people in workshops during the week we were there. This was indeed one of the most inspirational highlights of my life!